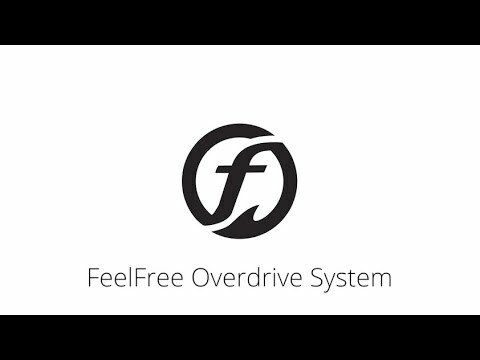 One of the most unique features of the Overdrive is the ability to incorporate the Feelfree Motordrive power motor unit as an add on option - no need to purchase a separate drive! The Motordrive is powered by a 12v battery with forward thrust of up to 40lbs controlled by a single handed remote. The digital LCD display keeps you updated on the motor's performance and remaining battery power. The combination of the Overdrive with add on motor unit will offer recreational paddlers and anglers the ultimate all day paddle, pedal and power experience. Overdrive Pedal console sold separately.